Progress Lighting Undercabinet light in white baked enamel finish, features steel construction. White acrylic diffuser shade measuring 48-1/8-Inch x 1-5/8-Inch x 1-3/8-Inch, brings elegance to the home. 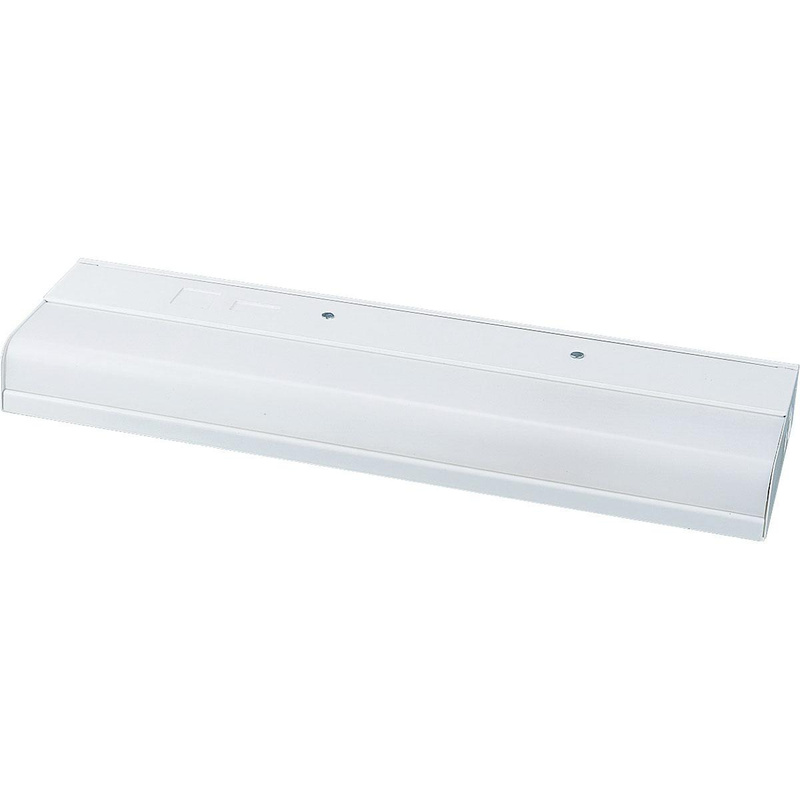 This utilitarian/commodity light employs one 32-Watt F32T8 linear fluorescent lamp. Lamp with NPF electronic ballast, has voltage rating of 120-Volts. Lamp has 2-Pin twist-in socket. It measures 48-3/16-Inch x 3-15/16-Inch x 1-3/8-Inch. Flush mountable undercabinet light is perfect for kitchens. Undercabinet light is UL/cUL listed.